Murfreesboro, Tenn. – Nov. 4, 2014 – Dental Fix RX, a mobile dental equipment repair company, is proud to announce an all-new service territory for Middle Tennessee dentists. Overseen by the 156th franchise owner, Brett Peaks, the operation will be conducted under the name Lenox Dental LLC and is set to begin business November 10, 2014. Peak’s franchise marks the second mobile repair unit in Tennessee with more expansion throughout the state planned soon. According to the Bureau of Labor Statistics, approximately 220 general dentists were employed during 2013 in the Middle Tennessee region – not including hygienists, assistants or lab technicians. Given that the region holds nearly 30 percent the entire state’s dentists, the greater Nashville region can benefit greatly from Dental Fix’s services. The Tennessee Department of Health also states that oral diseases affect a significant number of children and adolescents in every county and numerous educational programs are undertaken throughout the year. Established in 2009, Dental Fix RX is a mobile dental equipment repair business that focuses on customized services that produce high-quality repairs in a short amount of time. Dental Fix is committed to the repair, service, and maintenance of all types of dental equipment. Dental practice clients see one technician who is the owner-operator of the Dental Fix mobile service center, which ensures a familiarity with specific equipment at each practice. Davie, Fla. – October, 28th 2014 – Dental Fix RX, a mobile dental equipment repair company, has been recognized as a top franchise opportunity by Dr. John Hayes in his book “12 Amazing Franchise Opportunities for 2015.” Slated for release November 14, 2014, the book chronicles franchises with unique and successful business models determined by Hayes’ proven experience as a franchise professional, author, and business consultant. Dr. John Hayes is a university professor, author, speaker, and franchise professional. Since 1979, he has been a part of the industry serving as a franchisee, franchisor, and advisor for all types of franchise companies. The author or co-author of 18 non-fiction books including Franchising: The Inside Story, Hayes’ latest book highlights the stories of 12 amazing franchise businesses, including Dental Fix RX, and seeks out to help entrepreneurs decide if franchising is right for their next venture. Dental Fix RX combines centralized technological and account management services with a unique national network of locally owned and operated industry professionals. Each professional is equipped with “state of the art” mobile service centers. Dental Fix delivers on-site personalized service for dentists’ repair and new equipment needs. For more information or for franchise opportunities in your area, call 800-586-0340 or visit www.dentalfixrx.com/franchise. Davie, Florida – Dental Fix has awarded its 65th franchise of 2014, in Prescott, Arizona to Dr. Brett Mangum, Dental Fix announced today. The signed agreement targeting the Prescott/Sedona market, will be the 6th van to launch in the State of Arizona, and is part of an aggressive North American expansion plan calling for 700 new vans over the next five years. With 113 territories currently operating throughout the US and Canada, Dental Fix is well on its way. “The potential for Dental Fix is endless as it is the only site dental equipment service franchise in the industry,” said Lopez. “We couldn’t be more excited about launching another Dental Fix van in Arizona”. The Florida based Dental Fix Franchise Company is revolutionizing the dental service industry by delivering immediate on-site hand piece repairs and equipment service and sales, through a dedicated mobile network of highly trained and successful industry professionals. The company currently has 113 territories open and operating. 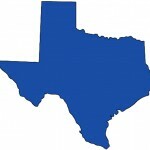 Davie, Florida – Dental Fix has awarded its 64th franchise of 2014, in Denton, Texas to Michael Ryan, Dental Fix announced today. The signed agreement targeting the Denton/Soutlake market, will be the 5th van to launch in the Dallas market, and the 12th van to launch in the State of Texas, and is part of an aggressive North American expansion plan calling for 700 new vans over the next five years. With 111 territories currently operating throughout the US and Canada, Dental Fix is well on its way. The Florida based Dental Fix Franchise Company is revolutionizing the dental service industry by delivering immediate on-site hand piece repairs and equipment service and sales, through a dedicated mobile network of highly trained and successful industry professionals. The company currently has 111 territories open and operating. DAVIE, Fla. – October 6, 2014 – Dental Fix RX, a mobile dental equipment repair franchisor, is proud to announce their recognition by Franchise Times as one of the top performing franchise systems on the Next 300 list. The prestigious list ranks global franchises by worldwide sales, and this is the first year Dental Fix has been recognized on this list. 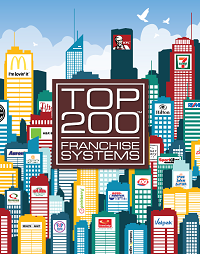 Since 2006, Franchise Times, the nation’s leading publication devoted exclusively to the franchise community, has published its annual Top 200 list – an authoritative snapshot of the largest 200 U.S. –based franchise companies. Expanded in 2012 to include the Next 300 franchises, each ranking is determined by sales across all company and franchised units around the globe. The list is an objective look at an increasingly popular industry with research and analyst spanning an eight month period. Established in 2009, Dental Fix RX is a mobile dental equipment repair franchisor that has more than 130 franchise locations throughout North America. Dental Fix’s philosophy is to focus on customized service that produces high-quality repairs in a short amount of time. 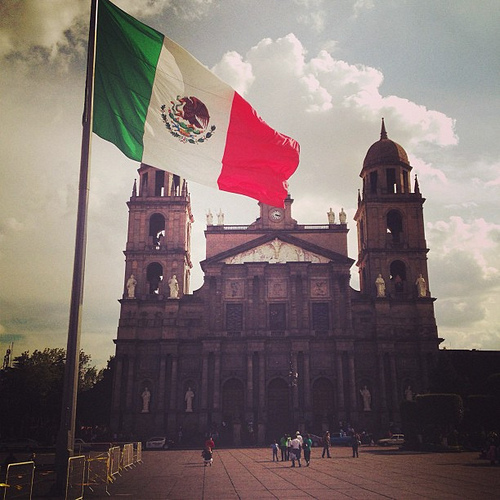 DAVIE, Fla. – October 6, 2014 – Dental Fix RX, a mobile dental equipment repair franchisor, announced today that it will introduce the Dental Fix brand to dentists in Mexico through new agreements with a master developer in Mexico City. Slated to begin business in January, 2015,the division is a first for Dental Fix and expects to maintain an estimated growth of one mobile repair unit per quarter throughout the year. The expansion to Mexico allows Dental Fix to be another step closer to the company’s overall goal of dominating the entire North American dental service industry. The Dental Fix Mexico expansion is a first for the company and will be operated by a dedicated master developer who is fully engrained into the area dental industry. Based in heart of Mexico City, the all-new extension will quickly meet the expanding dental demands of the country. With an ever present rise in dental tourism, more and more reputable dentist offices in Mexico are finding equipment service and repair and major necessity – something Dental Fix is fully prepared to satisfy. Like all Dental Fix operations, the expansion in Mexico will be treated with the same dedication to training, sales, and marketing as before. With a worldwide similarity in dental equipment such as handpieces, the Dental Fix business model can be adopted for any country to utilize and enjoy. Additionally, sales of new equipment such as chairs, delivery units, compressors, vacuum pumps and handpieces are available so each dentist office covered by Dental Fix can stay current and profitable.